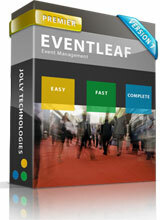 Register attendees online or on-site for events, conferences and trade shows. Track attendance of event attendees at seminars and breakout sessions. Capture leads by booths for marketing. The Jolly EL7-LTC is also known as EL7-LTC	or EL7LTC	.